The Act acknowledged and apologized for the fundamental injustice of the evacuation, relocation, and incarceration of United States citizens and permanent resident aliens of Japanese ancestry during World War II. It also provided for a public education fund to finance efforts to inform the public about the incarceration and made restitution to those individuals of Japanese ancestry who were incarcerated. 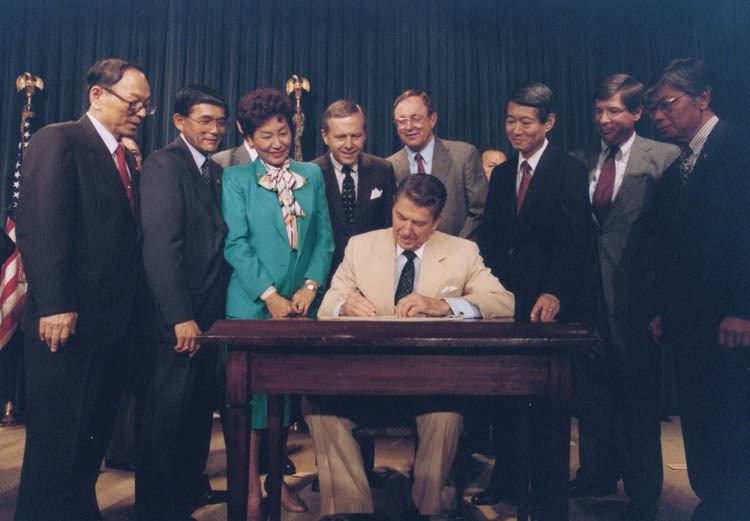 Congress and President Ronald Reagan recognized that, as described by the Commission on Wartime Relocation and Internment of Civilians, a grave injustice was done to both citizens and permanent resident aliens of Japanese ancestry by the forced removal and relocation of civilians to incarceration camps during World War II. As the Commission documents, these actions were carried out without adequate security reasons and without any acts of espionage or sabotage documented by the Commission, and were motivated largely by racial prejudice, wartime hysteria, and a failure of political leadership.